Rüsselsheim. The nights are getting longer, frosty and slippery. High time to adapt to wintry temperatures and road conditions – and those who want to feel relaxed in these conditions drive #opel. With their numerous safety and comfort features, the cars from Rüsselsheim help to make winter-driving safer and more relaxed. With adaptive all-wheel drive (AWD), IntelliLux LED® headlights and steering wheel heating, #opel cars are ready for the worst that winter can throw at them. On slippery surfaces the right traction is just as important as the right tyres. Depending on the model, #opel offers intelligent traction control systems from IntelliGrip to adaptive all-wheel drive with torque vectoring. With IntelliGrip on the new Opel Grandland X, the driver can choose from five modes – including mud and snow. IntelliGrip adapts torque distribution to the front wheels, allows slip when necessary and adjusts the accelerator pedal control map. When combined with an automatic transmission, IntelliGrip optimises the shift points to the prevailing driving situation, further increasing safety and driving comfort. Wet, snowy and icy conditions are also accompanied by darkness during most of the day during the winter months. However, #opel has excellent remedies: adaptive full-LED headlights (e.g. #mokkax, Grandland X) or IntelliLux LED® matrix headlights, as on the #astra and new Insignia. The adaptive LED matrix light (32 LED elements, 16 each side in the latest generation on the new Insignia) adapts to the prevailing situation and enables driving with full beam – without glaring other road users. It also enables people or animals near the road to be seen earlier than with conventional low beam. A good idea is to plan extra time for getting rid of snow and ice on the car before taking off. 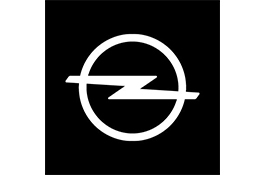 #opel customers need not bother with this if their car has a stationary heater on board. Thanks to remote control timer or automatic programming according to temperature sensors, the passenger compartment is cosy before anyone gets in, the windows are free of ice and the engine is warmed up. Stationary heating is thus not only a wellness-feature. With a warm engine, oil and catalytic converter reach operating temperature quicker, wear and emissions at launch are reduced. Optional factory-installed stationary heating is available on the #opel Vivaro and Movano light commercial vehicles, as well as on the Corsa, #astra, Cascada, Mokka X, Insignia and Zafira passenger cars. Equally helpful are de-icers such as heated exterior mirrors and heated windscreens, as on the #opel Insignia and #grandlandx. The windshield is defrosted silently and comfortably at the push of a button, by a fine wire heating element. The heated windshield also prevents fogging in humid conditions, further improving visibility and safety. When it comes to wellness, the heated, multi-adjustable and ergonomically certified AGR seats certified by the back specialists from Aktion Gesunder Rücken e.V. are the cherry on the cake. The ultra-modern seats enable everyone to find the ideal seating position thanks to the numerous adjustment functions. The optional Premium AGR seats ensure a relaxing trip thanks to their unique combination of side bolster adjustment, massage function and heating in winter or cooling ventilation in summer. As an additional luxury, passengers on the heated outer rear seats of the #opel #astra, Grandland X and Insignia also benefit from extra warmth. Drivers and passengers can thus simply step into their #opel without winter coats or gloves. Thanks to the variety of heating options they can feel cosy, as well as safe, right from the start of the journey. And neither freedom of movement nor buckling up the safety belt are restricted by thick clothing.